You are here: Home / Blog / Featured / Does Toothpaste Work in Treating Sarcoids? Does Toothpaste Work in Treating Sarcoids? If you Google “Equine Sarcoids” you will find lots of comments and online chats sessions recommending toothpaste as the cure for your horse’s sarcoid. Many people think it’s the fluoride and suggest using the strongest formula for best results. At best, folks that have tried this method have gotten mix results. A few questions come to mind – What really is the active ingredient and is it a valid alternative for treating equine sarcoids? To answer the question of active ingredient – Sanguinaria Canadensis also known as bloodroot is the ingredient having an effect on the sarcoid. Sanguinaria Canadensis is included in toothpaste and dental hygiene products as an antibacterial or anti-plaque agent. Bloodroot is also the major component of Xxterra and Aldera that is widely prescribed by veterinarians for sarcoids. Is it a valid alternative treatment for equine sarcoids? No, toothpaste has an effect on the sarcoid but due to the small percentage bloodroot it cannot completely treat the sarcoid. What people continue to overlook is the fact that sarcoids, warts and Aural Plagues are all caused by different strains of the Papilloma virus. Without treating the virus all of these health issues have an 80% re-occurrence rate. Our program at Balanced Eco Solutions treats both the sarcoid and the Papilloma virus. Our success rate of 85%-90% and zero re-occurrence rate speaks for itself. The program includes Sarcoid Cleansing Salve and our Body Balance Immune Builder. Sarcoid Salve works at the surface level clearing the sarcoid and repairing the underlying skin layer that has been affected by the sarcoid and promotes hair growth back into the affected area. The salve is highly effective for two reasons – It clears the sarcoid and the virus. Secondly because it is not a bloodroot based product it does not burn or cause your horse any discomfort. This means it can be applied on the face, eyes and other sensitive areas that would not be appropriate for Xxterra or other blood root remedies. No or minimal scaring and no change in hair pigmentation are key factors for show and performance horses suffering from sarcoids. The Immune Builder is specifically formulated to cleanse the virus from the bloodstream. It can be used by itself or in combination with the salve. Our field trials showed faster results when combined with the salve. We get calls every week from people who have tried the “Toothpaste” treatment and have been unhappy with the results. These same folks call us after they have started our program and have seen steady improvement in their horses. Balanced Eco Solutions has five years of experience in the treatment of equine sarcoids. We work with clients and veterinarians’ around the world. 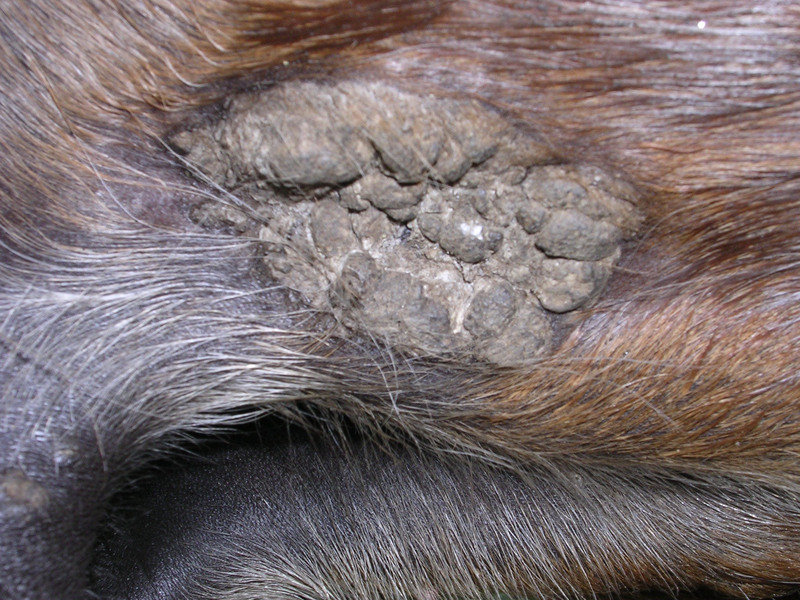 What we have seen lately is that sarcoids are becoming more aggressive in growth and number as well as appearing in difficult areas to treat like the eye. If you think you are dealing with a sarcoid start treatment as soon as possible. Balanced Eco Solutions is always available to answer questions on traditional therapy vrs holistic remedies. https://www.balancedecosolutions.com/wp-content/uploads/2011/10/Lexi-032208.jpg 1536 2048 ronstalman https://balancedecosolutions.com/wp-content/uploads/2011/10/BES-logo.png ronstalman2013-11-25 23:57:282014-09-16 20:42:05Does Toothpaste Work in Treating Sarcoids?